If rich boys were as carefree and obnoxiously blinded by the world in today’s society as they are in this series. I’d not let them near me with a 10 ft pole. Do the flowers smell as sweet as this series portrays? Let’s find out. I’ve been meaning to write this piece for sometime now but one series being longer than the other, was time consuming. Over the two months, that’s how long it took, for me to finish the K and J drama based off the manga boys over flowers. I am new to the drama scene have only been watching school/romance ones as of late, I was recommended these series by a good friend of mine. It was great to able to watch something different when wanting to take a break from anime. 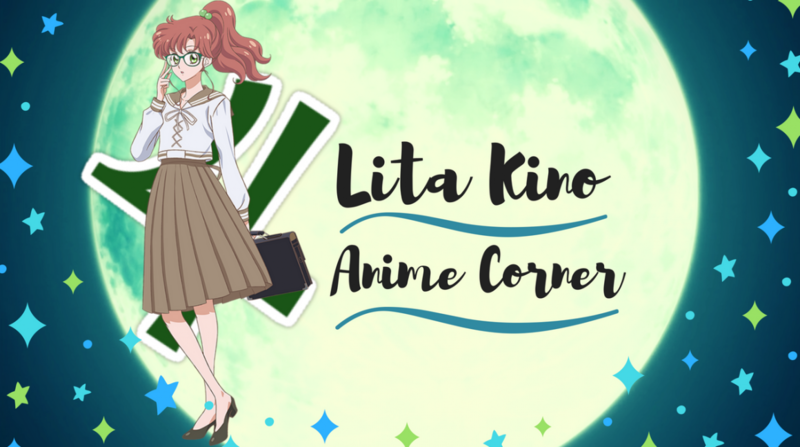 After watching both of these series while I enjoyed them a lot for individual reasons, I wanted to compare, weighing up the pros and cons of these different takes on this manga adaptation. From the manga adaption main story surrounds Makino Tsukushi comes from a poor family, she comes to attend Eitoku academy most prestigious school in Japan. It’s a rich world Makino tries to keep a low profile but the famous F4 boys most popular in the academy who have the reigns on the school. Makino cant lie low when F4 ‘s leader Domyouji son of CEO of the school targets her friend, Makino is no push over and declares war on F4. Makino becomes from there entangled in F4’s web and there’s no easy way out. Japanese version – Seems the Japanese always like to stick to the source material from J dramas I’ve watched so far for example Mischievous Kiss . This version sticks to the manga, there’s two seasons and then a movie. I have yet to watch the final movie but compared to the Korean version, I preferred the pacing of the story more in this one. Korean Version – I enjoyed this series nearly as much as the J drama but 25 episodes it was a bit much. It was very dragged out, exaggerated plot, I’ve noticed Korean versions of adaptions like to alter the plot. From around episode 15 to 25 it was frustrating to finally reach the conclusion between Gu jun pyo and Geum jan – di, nearly at one point turned me off to continuing. From mentioning earlier the Korean version is a little dragged out the plot both series I enjoyed so much, both casts of characters played all their roles really well. The female protagonists were equally spunky, hard headed and hilarious in their own unique way. Though if someone asked me to be pick out of Geum Jan Di and Makino, would have to say Makino because from the first episode made an instant impression. Punching Domyoji in the face declaring war, the whole scene just had me laughing till I dropped. These girls will not disappoint you if you watch one or the other, both very likeable leads. Now we come down the F4 boys, it was easier for me like Korean F4 over the Japanese F 4, this has nothing to do with me watching Boys Over Flowers. Japanese F4 took till episode 2 for me to start liking any of their characters especially Domyoji, he seemed so uninteresting at first. His cold domineer was much worse than Gun Jun Pyo it was more believable. Gun Jun Pyo’s domineer was spoil brat childish, the difference between the two Domyoji I find more mature a bit than Gun Jun Pyo. The main female love interests I preferred Domyoji honestly surprised myself but his rich boy performance had me feeling more invested his character. As for the rest of F4 I actually preferred the Korean ones. Because of the lengthy 25 episodes their character development is expanded more, again felt very invested in their characters. I have to give a special mention to Kim Hyun Joong who played Ji Hoo, he’s the reason I decided to watch Boys Over Flowers as I enjoyed his performance in Playful kiss a lot, Plus he is a hottie, well you know. The evil mothers… Don’t ask me who I would pick is the worst, they are mean to core. Equally both stopped at nothing to not have their son’s have anything to do with the girls they loved, because they aren’t bred rich. It’s their job to frustrates you and they do it so well. Out of the families I loved Jan Di’s family more, they were so much more out there. Had me laughing at their outrageous things they would say, not what a normal family would say. Makino’s family were a little more tamed. Boys over flowers and Hana Yori Dango I equally enjoyed but I would recommend watching Hana Yori Dango as it’s not as dragged out as Boys over the flowers. Out of the two I would rewatch again the Japanese version more than the Korean just I wasn’t satisfied with the ending, Hana Yori Dango gave me that satisfaction. Both series are worth your time, to feel Amerce in the young struggle both rich boys have to be with the girl they love. Crying, laughing, screaming at your screen both can guarantee these important fan girls moments, it’s vital for any drama you know to have those three things. I hope you guys enjoyed my short comparison piece, it was going to longer but I would have been all day. I have planned to do a humorous ranty both on the parts that had me enraged for your entertainment. I plan to write this month at some point be on the look out for that. Sorry this post was out late, I was trying to finish another important blog piece which is coming out this Friday. Please comment below your thoughts if you have seen either of these dramas. Also I am looking for some recommendations of other dramas to watch, if you have any please leave it down below. My next drama watch is going to be Coffee Prince, which I’m excited about !! Previous Lita’s Blogger Feature Friday + Post A Rama and… Livestream Announcement!! Always neat to see how different directors tackle the same story. I knew it! The minute you said it was a comparison, I just knew this was going to be the one you were covering lol. Awesome post Lita! OF COURSE!! well, in my mind you killed it, but if you plan on revamping it, I’ll definitely be on the look out for more Drama goodness soon!! I watched both versions. I preferred the Japanese version but I feel like the Korean version excelled in creating a legit love triangle between Jan Di, Jun Pyo and Ji-Ho Sunbae. Her conflicting feelings were made visible and you can clearly see why. As for the Japanese version. The F4 felt more like delinquents. I wrote a similar article around two years ago. Always interesting to other peoples thoughs on the matter.